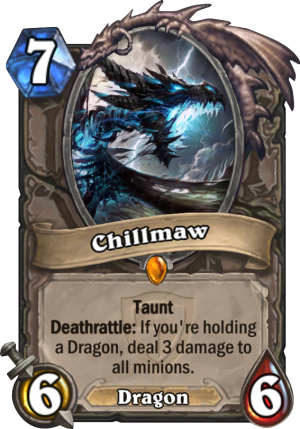 Chillmaw is a 7 Mana Cost Legendary Neutral Minion Dragon card from the The Grand Tournament set! Taunt, Deathrattle: If you're holding a Dragon, deal 3 damage to all minions. Rating: 3.9/5. From 259 votes. 1. look at the art. Dang! 4. 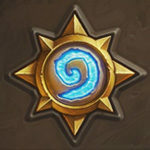 Is a dragon for dragon deck synergy. I definitely try this out in some kind of dragon mage.